I figured I’d start blogging on the finer points of this self-publishing journey I’ve been on for a while now, starting with book signings. Now, if there’s one thing I don’t like doing, it’s going out making public appearances. I can be quite shy and introverted, especially in regards to my writing. But book signings are essential to a self-published (and published) writer’s life, if just to get you out into the general community and spread word about your latest work. This is definitely an area that I am working on in my life and my career. Having face time with readers, with your community, with a book store, is essential and can be fun and help to progress your career as a writer. The tools of a book signing are many, and if you know what they are ahead of time then you can prepare yourself for a fun and successful time. The first tool I want to go over is bookmarks and postcards. For my printed needs, I use PSPrint. They do a great job, have fast shipping times, and their prices are affordable. *At the writing of this post, they are having another one of their sales on postcards – 60% off. Now, for my postcards, I usually use the front cover image of my latest book for the front and then I put the back cover copy of the book on the back. On the back, I include where my book is available (my website and Amazon.com), my website address, and the ISBN # of my book so your readers can find it anywhere online or in their local book store. This is personal preference, but I choose to keep my book’s price off most of my printed promo materials. Sometimes if they find my book on Barnes and Noble or Amazon, my book will be on sale, so I’d rather that be the price they see. I then hand these postcards out to everyone that walks in the door of the book store. I ask them to check out my book as I hand them one. Usually they keep walking because they are usually at the book store for a specific reason. I tell them the reason for the postcard is so they can wander the store and check out my book while they’re at it. I know some will say that I should be handing copies of my book to people to wander through the store with, but since I’m self-published and my book is not on the shelf of most of these book stores yet, I don’t want to risk my book getting lost somewhere in the store, shelved somewhere I’ll never find, or possibly walked out with. If they come back to my table and ask me about the book, then I hand them a copy to flip through. Bookmarks are created somewhat the same way. 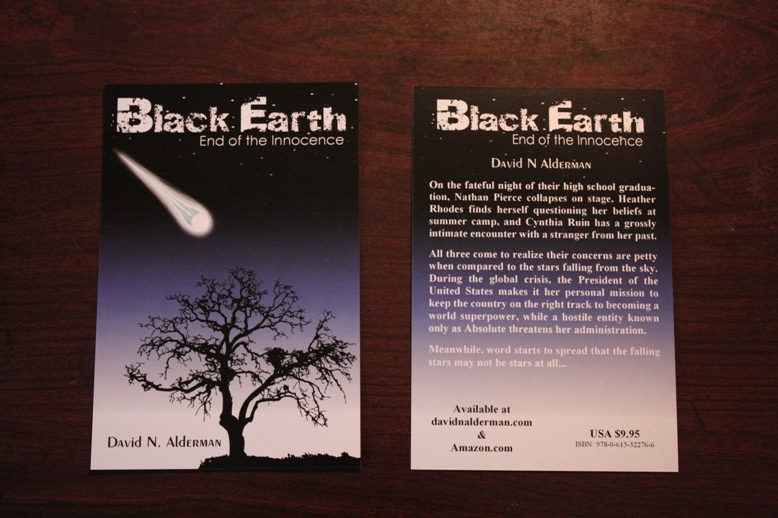 I use a section of the book’s front cover for the front of the bookmark and include my website somewhere on there. 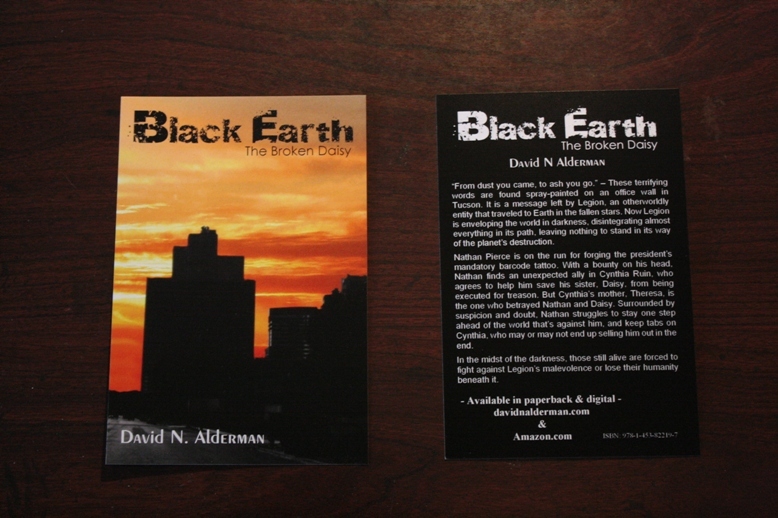 I don’t have anything on the back of my bookmark just because it saves me money on printing not to have it double sided, although if you have the funds, a double sided bookmark gives you more space to include more info about your book or you as an author. The bookmarks are one of the promotional materials I send to the store ahead of my signing so they can put them at their registers for customers to grab. 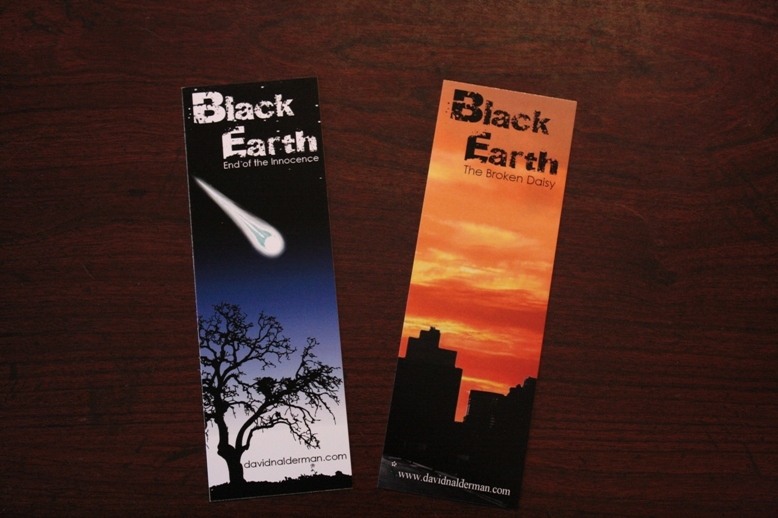 I usually mail the store the bookmarks, and fliers announcing my arrival, at the same time. * I’ll be covering fliers in another blog post. I stick a bookmark in each book as they are sold, and I also keep a stack of bookmarks out on my table so people can grab them and stick them in whatever book they’re reading other than mine.